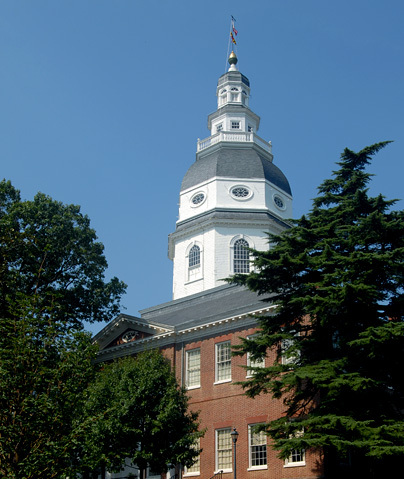 The beautiful Maryland State House is the oldest state capitol in continuous legislative use and is the only state house ever to have served as the nation's capitol. The Continental Congress met in the Old Senate Chamber from November 26, 1783 to August 13, 1784. During that time, George Washington came before Congress to resign his commission as commander-in-chief of the Continental Army and the Treaty of Paris was ratified, marking the official end of the Revolutionary War. The State House is where the Maryland General Assembly convenes for three months each year, and the elected leadership of the state  the governor, lieutenant governor, speaker of the House of Delegates and president of the Senate  all have their offices here.